Today’s planned first was postponed due to family members battling the flu! I switched gears, on this beautiful Sunday afternoon, enjoying time in the garden and time relaxing with one of my favorite movies. As part of the countdown to the release of The Hobbit: The Battle of the Five Armies, I joined the 5 Week Middle-Earth Movie Marathon for my first today. 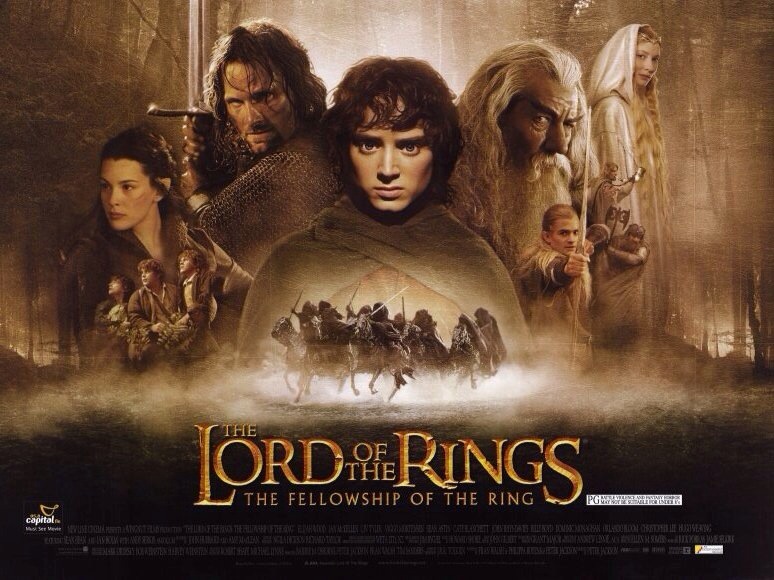 Launched by MiddleEarthNews on Facebook and Twitter, this fun event encourages fans to watch the five available Middle-Earth films, one each week, beginning today with Lord of the Rings: Fellowship of the Ring. I chose the extended edition version. I’ve watched this film many times however, it’s the first time I’ve watched it as a part of a special event and the first time I’ve watched any movie and tweeted about it and read related tweets on Twitter. 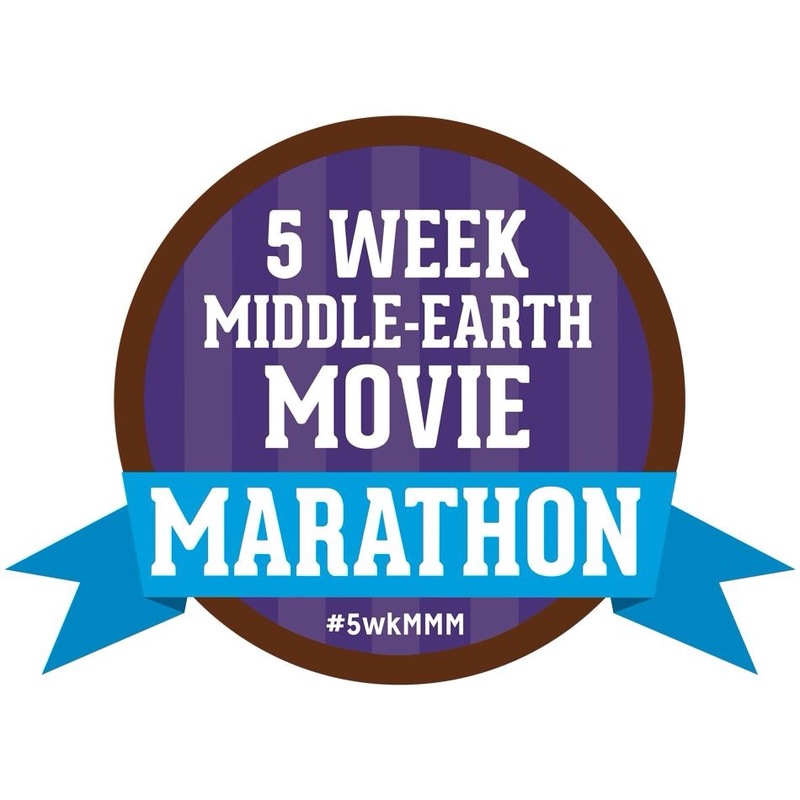 We used the hashtag #5wkMMM. That was fun! • Because of my recent viewings of The Hobbit films, I noticed more acutely the references to Bilbo’s adventure, dragons and characters from The Hobbit, such as Balin, Gloin and Thorin. • I was aware that Bilbo offered Gandalf tea when he arrived in the afternoon. Pippin also mentions tea time as a customary Hobbit tradition. • I saw the warrior like qualities more clearly in Gimli, rather than seeing him as playing a more minor role in this adventure. Similarly, I noted how Legolas has settled more fully into who he is. • I always get teary eyed over Boromir’s death. This complex man finds redemption as he sacrifices himself in an attempt to save the halflings. The emotional response didn’t change today! What I noticed for the first time though was that it is Boromir who first addresses Aragorn as “my king”. The others in Aragorn’s life encourage him to become who he is destined to be, see the strength in him, refer to him as Isildur’s heir. Boromir, as he lies dying, acknowledges fully who Aragorn is, calling him, “My brother…my captain…my king”. What a far seeing man. Aragorn responds, not with denials and hesitation, but in a quietly confident manner befitting a king. I loved seeing that unfold today. Boromir’s gauntlets that Aragorn wears for the remainder of the journey become a constant reminder of that man’s belief in his king, and his trust that Aragorn would save his people, and Middle-Earth. I enjoyed watching Fellowship of the Ring today. It reminded me of my own journey and of the moments of realization about myself that I have had. It also brought to mind the people who make up my Fellowship, those brave souls who encourage me and call me out as they need to. They see what’s possible in my life, sometimes long before I do. May I continue to journey well and lend my wisdom and encouragement to others on their adventures!